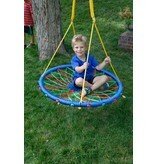 Colorful dreamcatcher swing will take children soaring in their own backyard adventure! 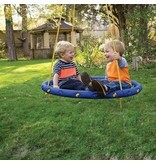 They can swing, twirl and spin as far as their imaginations will take them! 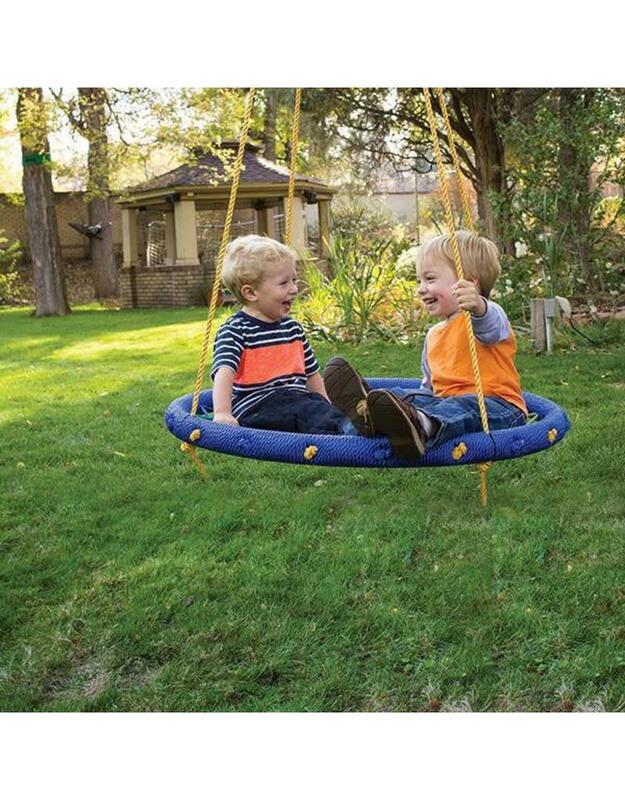 No Assembly required and easy installation. 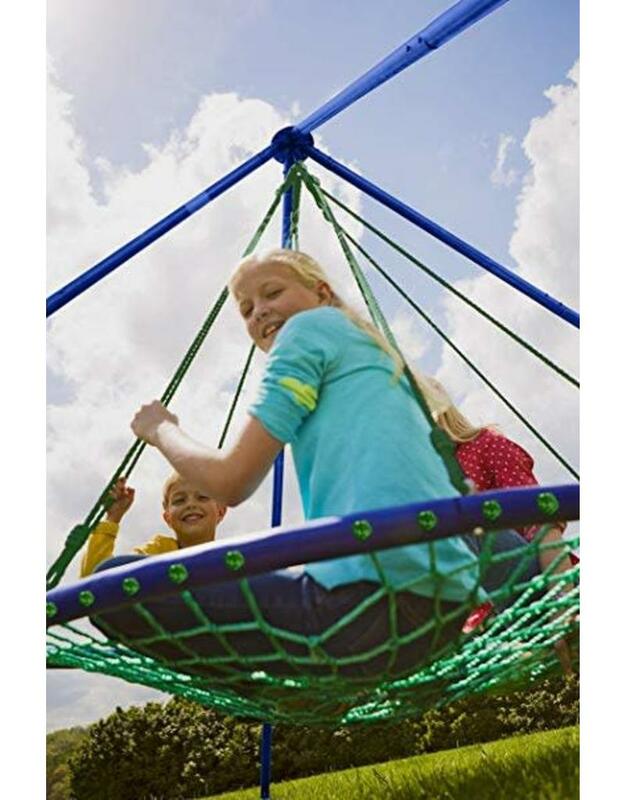 Hang from 2 points or a single point for more spinning action. Easily holds several children. 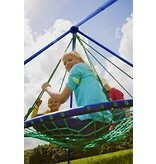 Includes uniquely colored 38" diameter hand-woven swing using UV resistant nylon with steel frame. 8-ft adjustable nylon rope and 2 carabiners. 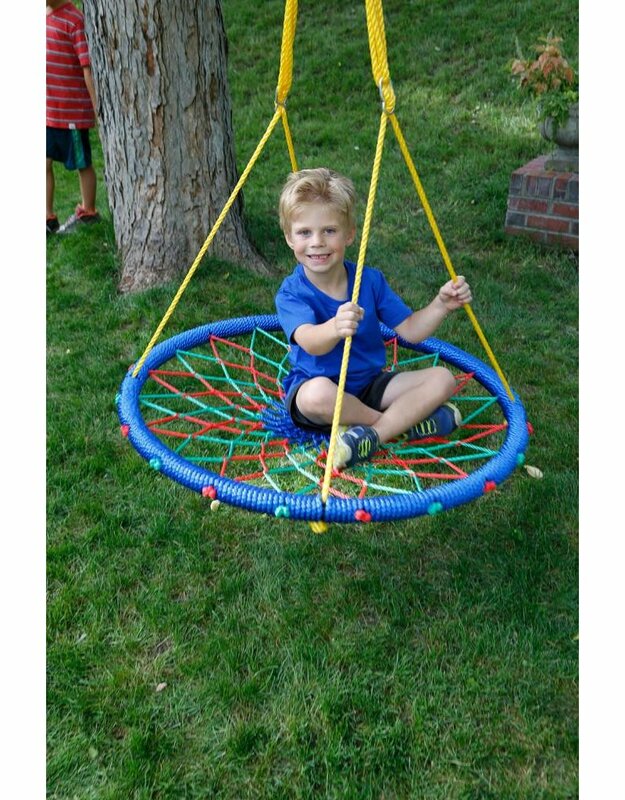 Attaches to 6ft or 12ft Sky Tree Hangers for easy tree hanging (Sold Separately).